Hi there! Today’s post is about Montagne Jeunesse’s Fruity Beauty Peel Off face mask. 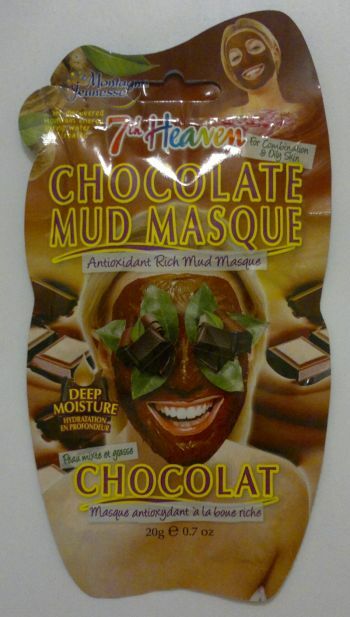 This face mask is exclusive to Primark where you can buy it for 90p. So how’s the mask? I think it’s really nice. It made my skin feel soft and clear, and I loved the tropical mango and lemon fragrance. 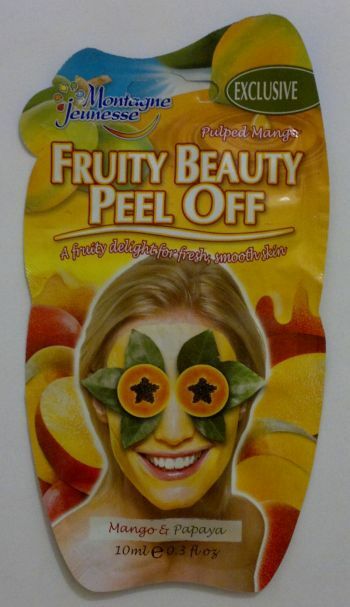 Montagne Jeunesse’s Fruity Beauty Peel Off face mask is certified cruelty-free. It carries the Leaping Bunny logo! 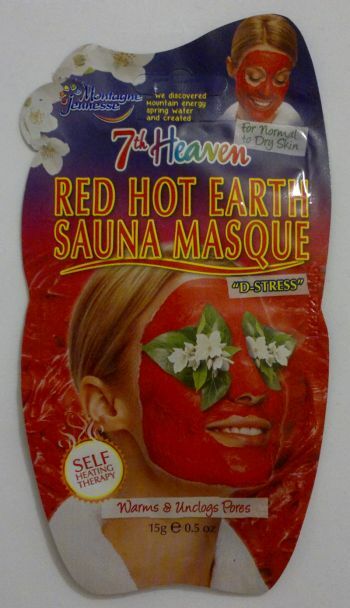 Have you tried this mask or would you like to try it? Feel free to comment. And thanks for reading! Hi there! 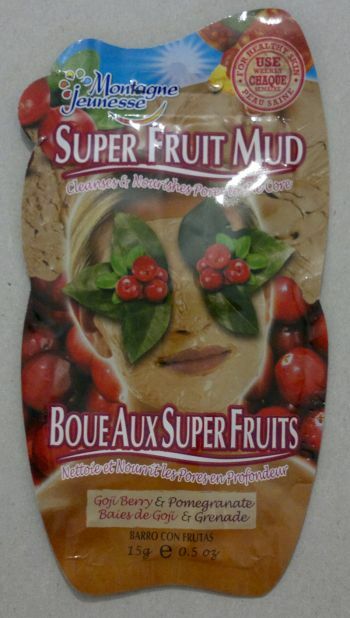 Today I’m reviewing Montagne Jeunesse’s Super Fruit Mud. This face mask promises a nourishing skin cleansing experience. I enjoyed using this mask. The formula is a bit runnier than most Montagne Jeunesse masks, but it was super easy to empty the sachet. I don’t think this mask was very nourishing, but it cleansed my pores properly, and it didn’t trouble my skin at all. If you haven’t tried this face mask yet, I would recommend you give it a try. I will buy this face mask again, no doubt. Montagne Jeunesse’s Super Fruit Mud is certified cruelty-free. It carries the Leaping Bunny logo. The mask is available for £1. I got mine from Home Bargains. Hi there! 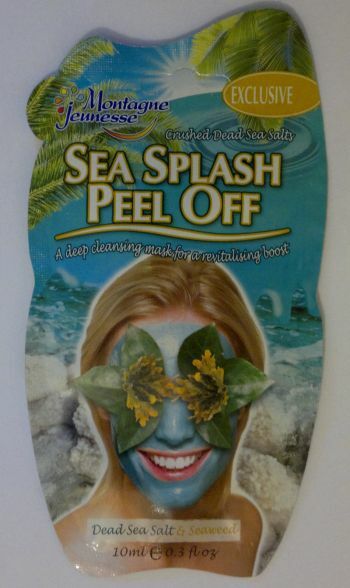 Today’s short post is about Montagne Jeunesse’s Sea Splash Peel Off face mask with Dead Sea salt and seaweed. How’s the mask? I think this mask is almost an exact duplicate of Montagne Jeunesse’s Black Seaweed mask. The only difference is the colour. The Black Seaweed mask is black, whilst the Sea Splash mask is almost transparent with a blueish tint. To be more specific – this mask is OK. It didn’t make a visible difference to my skin, but I’m sure it did cleanse my pores. I don’t think the mask smells great – I’d describe the smell as swamp-like. I wouldn’t buy this face mask again, but if you’d like to try it, head to Primark! Montagne Jeunesse’s Sea Splash Peel Off face mask is certified cruelty-free. It carries the Leaping Bunny logo, and it’s approved by the Vegetarian Society. Hi there! 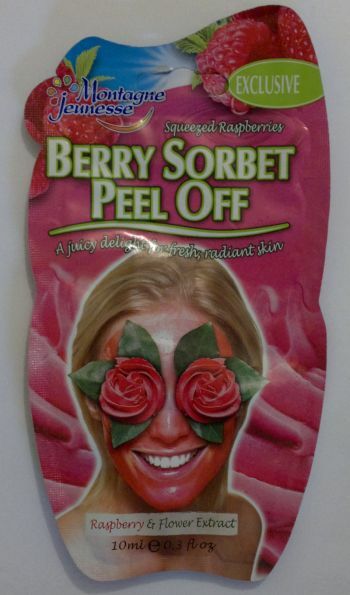 Not too long ago I got my hands on Montagne Jeunesse’s Berry Sorbet Peel Off face mask (exclusive to Primark, 90p). First of all, this is a regular peel off mask. You apply it, you let it dry, and then you peel it off. Awesome fun! I think this mask does its job well. It makes my skin feel clear and refreshed. I also like that the mask is almost transparent (it has a barely-there pink hue) because the reddish colour on the sachet looks scary! Another good thing is that this mask smells fresh and fruity (yes, it’s a pink fragrance but it’s not sweet) which is very nice! 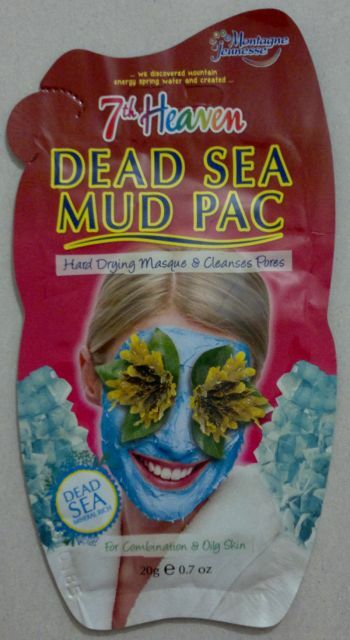 I would recommend this face mask, and I will try to pick up a few more. If you’re interested, you should check if your local Primark sells this mask. And don’t forget that Montagne Jeunesse’s face masks are approved by BUAV (they carry the Leaping Bunny logo) and by the Vegetarian Society, and they’re certified cruelty-free!